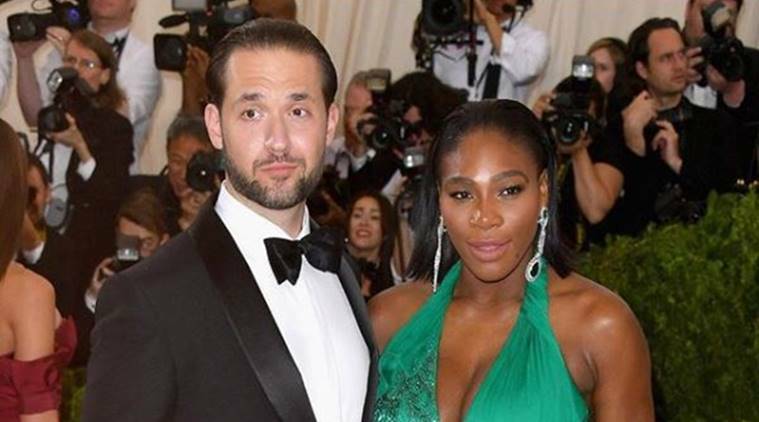 Serena Williams, 39 Grand Slam titles holder, walked down the aisle and married Reddit co-founder Alexis Ohanian at the southern US city’s Contemporary Arts Center in New Orleans on Friday as A-list celebrities arrived for the wedding. The couple, who have a two-month old daughter Alexis Olympia, kept their big day safe from shutterbugs, releaving as little details of ‘when, where and how’ of the wedding. All that was known prior to the 36-year old tennis star’s marriage was that it would take place somewhere in New Orleans. According to Dailymail, around 250 people arrived at the wedding. Among those photographed arriving at the star-studded occasion were Kim Kardashian, Venus Williams, Beyonce, Lala, Kelly Rowland, Ciara, Eva Longoria. Ohanian arrived at the wedding venue in shorts, sneakers and a sleeveless shirt, an hour before Serena did. He was also seen carrying his dress shoes in his hands in a few pictures. Serena had specifically requested her guests to not post pictures from inside the venue. Earlier this year, Serena announced her pregnancy to the world with an Instagram post in April that she said was mistakenly sent. She said that it was meant to be a private photo. She then revealed that she was eight weeks pregnant with her first child when she won the Australian Open final.